Each semester, during the weeks prior to registration, a number of special events are held so that students can meet with faculty, learn about academic opportunities, and prepare for registration. For Sophomores, the Spring time is especially important as they are encouraged to declare your major during this time. Please visit the link to learn more about the steps to declare your major. Advising Week events include departmental advising hours, a humanities-focused advising session with faculty from a number of disciplines, interest meetings, and the Undergraduate Research Fair. See the department/program advising information below for the specific opportunities and events. Registration for the fall 2019 semester opens on Monday, April 1. For more specific registration information see the registration schedule. Please note: this schedule will be updated during the month of March to have dates for the Fall Semester. In addition to meeting with your advisor, we encourage you to contact departmental peer advisors with questions you might have. Peer advisors can help with course selection, major declaration, and more. Visit the peer advisor page for more information. Please continue to check back as additional events may be added. Advisors and faculty from many humanities departments and programs will be available to share information about classes for fall 2019 as well as any other questions about majors and minors. Learn about classes in humanities and humanistic social sciences. There will be food, drink, "Humanities for Life" swag. Wednesday, 10 a.m. – 11 a.m.
Sansifanyi is an ensemble that provides study and performance opportunities for intermediate and advanced students of African dance and drumming. Instructor Kerfala Bangoura trains ensemble members in a performance style that integrates dance, drumming, vocal song, and narrative elements. Dancers who enroll in Sansifanyi will learn choreographic techniques for West African dance and gain experience dancing as soloists. Dancers will also learn focus on rhythmic timing and on drumming while dancing. Drummers enrolled in Sansifanyi will learn extended percussion arrangements and techniques for accompanying choreography. They will also learn how to play the breaks required of lead drummers. Continuing from DAN 188: Hip Hop Culture and Breaking, students will further their knowledge and understanding of battling (competing) in the hip hop world both physically and analytically. This course will challenge students to create a standardized system for judging battles as well as the opportunity to test their systems during class. From a physical perspective, students will utilize much of what was taught in the previous course but with a focus on individual feedback and flexibility as to where they want to take their styles. Students who have not taken DAN 188 in previous years must contact the instructor by email first for approval to enroll. 3/20 2 p.m. – 3 p.m.
3/29 Noon – 1 p.m.
Open advising with current student Lydia Currie is in Spurrier room 106. Advising is by appointment only. Students who want to declare a minor in environmental humanities, or who have questions about the environmental humanities program should email Professor Leila Nadir at lnadir@ur.rochester.edu. For more information see the environmental humanities website. We live in a time when migrations seem to dominate world news. People escaping collapsing societies, searching for better lives. This course will chart the hopes, fears, and aspirations of those who leave- from African perspectives. We'll read a range of fiction and poetry from across the continent, from canonical writers like Chinua Achebe and Tayeb Salih to some of the acclaimed new voices of our century. We'll study literature that imagines new life in the metropolises of Johannesburg and Lagos, as well as more far flung cities like Detroit, London, and Barcelona. We'll ask what distinguishes diaspora from exile, how a former life can follow a person to new places. We'll read about perilous Mediterranean crossings, LGBTQ persecution, undocumented life in America, and children dreaming of distant lands. Our study of migrant literatures will even take us to other worlds, reading Nnedi Okorafor's interstellar science fiction as a speculative extension of the more historically based works. In a narrow sense, this is a course on the legacies of two famous British novels, Charlotte Brontë’s Jane Eyre and Emily Brontë’s Wuthering Heights, and how these works inspired generations of Caribbean writers to create worlds (seemingly) far removed from the north of England. But in a larger sense, it’s a course on colonialism and its afterlives, and the way 20th century writers revised and played off of the Brontës to expose the enduring effects of imperialism and slavery in the West Indies. We’ll read both Brontë novels, as well as fiction by Jamaica Kincaid, Jean Rhys, Maryse Condé, and others, paying close attention to their formations of race, gender, class, spirituality, and the environment. We’ll examine how they reconfigure iconic features of the Brontëan gothic—the desolate moors, the ghostly mansions, suggestions of madness and the supernatural—to create West Indian worlds at once haunting and beautiful, all while laying bare the violence of Europe’s historical presence in the Caribbean. 3/21 1 p.m. – 3 p.m.
3/26 1 p.m. – 3 p.m.
Open advising is in 415 Morey Hall. Thursday, 2 p.m. – 5 p.m.
Tuesday, 2 p.m. – 5 p.m.
Thursday, 1 p.m. – 3 p.m. Advising is also available every Monday and Wednesday from 10-11 a.m.
3/21 2 p.m. – 7 p.m.
3/27 Noon – 5 p.m.
3/28 2 p.m. – 5 p.m.
Walk-in advising is in 511 Morey Hall. See the department advising page for contact information and advising hours. For questions regarding the primary writing requirement, stop by the front desk during our walk-in hours. For questions regarding the minor or clusters, see Professor Deb Rossen-Knill or attend our interest meeting. Stop by to learn more about the Writing, Speaking, and Argument Program's minor and clusters! Food will be provided. Wednesday, 3 p.m. – 4 p.m.
Thursday, 10 a.m. – 11 a.m.
Friday, 2 p.m. – 3 p.m. Advising on Friday, March 22 by appointment. Wednesday, 2 p.m. – 4 p.m.
Thursday, 2 p.m. – 4 p.m.
See the UPBM advising web page for track advisor information. This includes: biology, cell and developmental biology, biochemistry, computational biology, ecology and evolutionary biology, microbiology, molecular genetics, and neuroscience. See also the UPBM peer advisors. Monday, 2 p.m. – 3 p.m. Directions to Dr. Grayhack's office: https://www.sas.rochester.edu/bio/assets/pdf/undergraduate/upbmbsbch_GrayhackOfficeDirections.pdf. Monday, 9 a.m. – 11:30 a.m.
Tuesday, 9 a.m. – 11:30 a.m. Directions to Dr. Robert's office: https://www.sas.rochester.edu/bio/assets/pdf/undergraduate/upbmbsmb_RobertOfficeDirections.pdf. Wednesday, 1 p.m. – 4:30 p.m.
3/20 2 p.m. – 5 p.m.
Those BME Faculty who are not available for this session will be contacting their advisees to set up a meeting. 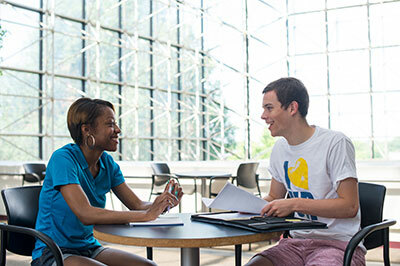 3/27 2 p.m. – 4 p.m.
Open advising will be held in 4506 Wegmans Hall. The Department of Chemistry will have drop-in/open advising hours for chemistry faculty, staff, and peer advisors. Students are encouraged to stop by with any questions regarding chemistry courses, or planning a BA, BS, or minor in chemistry. No appointment is necessary. See the department's advising week web page for more details. Deb Contestabile or Professor David McCamant can both sign transfer credit and course approval forms. Please email them your course information in advance if possible. The Undergraduate Chemistry Council (UCC) is hosting a pizza social open to all undergraduate students. Come meet with chemistry majors and ask questions you may have about chemistry courses or majoring in chemistry. Email Jacob Schmidt, UCC secretary with questions. Computer science pre-majors and majors will need to meet with their faculty advisor to go over courses and have their registration hold lifted. Students will receive an email with your faculty advisor information. The faculty advisor list will also be posted on the bulletin board outside of Wegmans 2513. Students whose advisors are on leave will be assigned temporary faculty advisors. Please consult your email and/or the list on the bulletin board for your temporary advisor. If you are not yet a computer science major or pre-major, please use our online scheduling tool to make an appointment with Brynn Wilkins or Dani Vander Horst. TR 11:05-12:20 in Hylan 105 taught by Ajay Anand. MW 15:25-16:40 in LeChase 163 taught by Jack Tietel. The University of Rochester’s Goergen Institute of Data Science (GIDS) is hosting the ROC Data Science Meetup for the spring semester. Meet faculty, students, and staff from GIDS as well as area data science professionals for refreshments from 5:30-6:15pm for a reception on the 2nd Floor of the Wegmans Hall. We will then move to the auditorium to hear about the Rochester Data Science Consortium from Executive Director Walt Johnson. Tuesday, 10 a.m. – 11:30 a.m.
Friday, 9 a.m. – 10:30 a.m.
Friday, 2:30 p.m. – 3:45 p.m.
Monday, 9 a.m. – 10:30 a.m.
Monday, 2:30 p.m. – 3:45 p.m.
Wednesday, 9 a.m. – 11:30 a.m.
Sobolewski will be overseas between March 17 and April 4. Tuesday, Noon – 4 p.m.
A course on modern methods for estimating models, and their uncertainty, from observational data in the Earth sciences. The course emphasizes concepts in parameter estimation, time series analysis, and statistics, using matrix inverse methods. Problem sets and weekly computer exercises provide theoretical foundations and adequate practice needed for proficiency in data analysis. This course offers a fundamental understanding of geodynamics processes on and in Earth and terrestrial bodies. We will learn essential physical backgrounds and observational constraints to understand the past and current status of Earth and planets. The materials we will cover in class include (not limited to) plate tectonics, stress, strain, elasticity, heat transfer, gravity, fluid dynamics, mantle convection, and rheology. We will perform numerical exercises and basic coding skills are highly recommended. Visit the Hajim School of Engineering peer advisors during their office hours to ask questions you may have about engineering majors or courses. 3/18 Noon – 1 p.m.
3/18 6 p.m. – 7 p.m.
3/19 Noon – 1 p.m.
3/19 6 p.m. – 7 p.m.
3/20 Noon – 1 p.m.
3/20 6 p.m. – 7 p.m.
3/21 Noon – 1 p.m.
3/21 6 p.m. – 7 p.m.
3/22 Noon – 1 p.m.
3/22 6 p.m. – 7 p.m.
Office hours will be in the iZone and Carlson Library. Wednesday, 2 p.m. – 3:30 p.m.
Monday, 3:45 p.m. – 4:45 p.m.
Wednesday, 3:45 p.m. – 4:45 p.m.
Tuesday, 3:30 p.m. – 5 p.m.
Tuesday, 9:30 a.m. – 10:30 a.m.
Tuesday, 1 p.m. – 2:30 p.m.
Thursday, 3:30 p.m. – 4:30 p.m.
Come to iZone for peer advising. Tuesday, 4 p.m. – 5 p.m. Description: Optical instruments and their uses. First-order Gaussian optics and thin-lens system layout. Photometric theory applied to optical systems. The eye, magnifier, microscope, matrix optics, nature of Seidel aberrations. Description: Electromagnetic Theory: Maxwell's equations in differential form, dipole radiation, Rayleigh scattering, polarization,energy flow (Poynting vector), plane waves, wave propagation in air/glass/metals, reflection and refraction, birefringence, polarization-sensitive optical elements (wave plates and polarizers),applications to nonlinear and quantum optics. Description: Geometrical and diffraction theory of image formation. Measurement of first-order properties. Seidel aberrations. Tests of aberrated systems. Seidel contribution formulae and more. Optics majors have more fun! All majors and those interested in becoming majors are invited to join the physics and astronomy undergraduate office for information and pizza. The Department of Anthropology has open advising hours every Monday from 2-4 p.m. This course examines core themes in cultural anthropology—including identity, ethnicity, mobility, politics of representation, social inequality, and globalization—through the lens of travel and tourism. It analyzes how invention, performance, and commodification of cultural traditions construct social imaginations about authenticity and human differences. How do tourists and hosts communicate their cultural beliefs and identity? How do their activities intersect with existing social infrastructures and a global landscape of inequality? In what ways does tourism facilitate or limit intercultural dialogue, environmental protection, heritage preservation, and economic development? What can anthropology teach us about traveling in an ethical and responsible manner? This course covers ethnographic studies in a wide array of Asian, African, Oceanic, European, and American societies. Students learn to apply critical insights and anthropological sensibilities in analyzing their own intercultural encounters. What is a person? Is the autonomous individual a Western invention? What other forms of personhood might there be? In this course we will explore the nature of personhood and changing definitions of what personhood is. We will read classic accounts of personhood alongside ethnographies that highlight the ways in which social values, practices, and institutions have shaped who and what people think they are. We will also examine how both scholarly ideas and everyday practices about personhood have changed in response to major political and economic shifts, particularly post-colonialism, feminism, and globalization. At the end of the course we will examine ontological ideas about personhood: when does a person start or stop being one? How are technologies and things used to constitute people? In addition to readings, we will view ethnographic and popular films and analyze a range of contemporary media. This course, an introduction to the study of human culture, exposes students to the basic principles of anthropology. Students will be introduced to the range of cultural diversity that exists in the world, from tribal societies to modern nation-states. Through this encounter, students will learn to view cultures in comparative context, and will critically reflect on what it means to be human. Advisors and faculty from many humanities departments and programs will be available to share information about classes for fall 2018 as well as any other questions about majors and minors. Food will be provided. Tuesday, 11:15 a.m. – 1 p.m.
Thursday, 11:15 a.m. – 1 p.m. This course will focus on selected issues that arise in the theory and practice of investment portfolio management. Many of the topics will be specific to common stock portfolios, but are also relevant to other assets, such as bonds, options, futures, commodities, etc. Key topics include active portfolio management, empirical evidence of market (in)efficiencies, market “anomalies,” performance evaluation, behavioral finance, risk management. The course also examines the impact of market structure on trading decisions, including the role of specialists, dealers and brokers, the price impact of trading, price discovery, and the special needs and behaviors of institutional traders. 3/18 10 a.m. – 11:30 a.m.
3/19 1 p.m. – 3:30 p.m.
3/20 1 p.m. – 3:30 p.m.
Office Hours also happening on M,T, W of second advising week. This joint event is for UR undergraduate students who want to learn more about undergraduate and graduate business programs on campus. Meet with our advising staff, Gwen M. Greene Career Center staff, Alpha Kappa Psi and Forte Campus members, as well as Simon Admissions and graduate Simon students to explore MS, MBA and Ph.D. programs. Students choose an advisor based on their interests. Our faculty office/walk-in hours and specialty area are listed in the advisors section below. Using original documents, novels and films, we will probe the history of the Communist revolution of 1917, Stalinist society, the central Soviet role in World War II, and the Cold War. The course will conclude with a consideration of the reasons for the Soviet collapse and the origins and aims of Vladimir Putin's authoritarian regime. Class time will be evenly divided between lecture and discussion of readings. Latinos now number more than 60 million people and represent one of the quickest population surges in the history of the American republic. But they include a diverse collection of nationalities and ethnic groups whose variety poses analytical challenges to historians and other scholars. Using a case study approach that will emphasize primary sources and monographs, we will analyze a variety of strategies through which recent historians have interpreted the relationship of Latinos to American society. We will ask whether it makes a difference to understand Latinos as immigrants with unique histories, products of empire resulting from American economic expansion, or sojourners with ongoing ties to Latin America. We will consider national differences between Mexico, Central America, and the Caribbean. And we will examine how scholars have interpreted the relationship of Latinos to America’s other myriad peoples. Our ultimate concern will be to prepare students for further research and writing in the field. The Crusades are one of the most misunderstood events in Western history. This course will address modern caricatures of the Crusades by introducing students to the full range of political, social, and religious issues involved. Students will be encouraged to see the Crusades as a Mediterranean wide phenomenon, including encounters between Christians and Muslims in the Iberian Peninsula, Sicily, and the Levant. The course will go well beyond military history by looking at contemporary understandings of Jihad, Crusade, religious duty, and daily life. It will encourage students to think about compromise and acquiescence in intercultural contact as well as the conditions under which interaction breaks down. Students will read contemporary interpretations of conflict in selected (translated) primary sources from Arabic, Greek, Latin, and Hebrew. Finally, the course will conclude by considering the legacy of the Crusades in the modern Middle East and Western culture. In a world where the media thrives on terms like “collusion,” and “rooms where it happens,” the time is ripe to explore discussions of how espionage and covert activity has come to both titillate and upset modern society. There are few jobs older than that of a spy. The term has seen many shifting connotations throughout the millennia. However, its most fundamental definition remained the same. One who spies is one who watches secretly and sees the experiences of others. How was this accomplished? Why was it done? Whom did it benefit, and why? These are questions we will study in this survey history of espionage that will span from the ancient world to the present. Through the use of movies, literature and other cultural elements, this class will confront the political, cultural, and social implications of espionage in world history. It will also consider how our modern understanding of espionage can be evaluated as part of current American identity. This course opens a fascinating window into the techniques, methods and sources that historians of Mexico use to understand the prehispanic and colonial past. Our focus on movement and migration will enable us to study a wide range of historical artifacts, beginning with pictographic codices that recount the migration story of the Mexica settlers of Tenochtitlán (modern-day Mexico City). We will then delve into the documents produced by (and about) Indigenous noble women, Iberian conquistadors, African maroons and Spanish merchants as they traversed the viceroyalty of New Spain willingly and unwillingly. Our seminar discussions will allow us to debate the possibilities, limitations and biases built into colonial sources. With this knowledge, students will develop their own research paper at the end of the semester. The course is open to all students. No prior knowledge of Latin America or the Spanish language is required. The course fulfills the pre-1800 requirement for the History major. History 200 is an introduction to historical practice – what professional historians actually do. This section focuses upon the concept of deviance in medieval European society, studying such real and imagined “deviants” as homosexuals, heretics, Jews, witches, and werewolves. Along the way we will discuss the various ways in which historians have approached this topic and will engage with key primary sources. Readings will address the question of whether the persecution of “deviants” began only the twelfth century as part of the process of centralizing power in church and state. We will consider the relationship between persecution and power, as we ponder why certain groups were singled out for persecution. And we will ask what Europeans really were afraid of when they labeled certain groups as deviant. This course will consider Mexico’s rich and vibrant cultural history beginning with the Mexican Revolution (1910-20) and ending with contemporary globalization (post-1994). Among the topics to be considered are Mexico’s mid-century challenge to US power as it was expressed in art, literature, and film; the question of forming a national identity between 1930 and 1960; and the cultural expressions of discontent against the national state after 1968. We will pay close attention to the work of national figures who expressed Mexico’s internal racial, class, and gender hierarchies, including Carlos Monsiváis, Elena Poniatowska, and Fernando Benítez. And we will examine the current resurgence of Mexican literature and film on the world stage as Mexico’s artists have responded to the inequalities, migrations, and violence of contemporary globalization. This course traces China’s involvement in Africa from the 1940s to present. How many billions of dollars/RMB in aid and investments have been channeled from China to the African nations for the past seventy years? Were they motivated by socialist comradeship, capitalist profit seeking, imperialist ambition, or simply Chinese pride? What is China really doing in Africa? More importantly, Africa is a vast continent of over 50 independent nations, and their separate engagements with the guests from the East are histories full of sophisticated twists. While looking into the Tanzania-Zambia railway, the “Hubei farms” in Mozambique, the mega dams in Sudan, the Modderfontein New City in South Africa, and many other landmark projects, we will take one step further, using ArcGIS to translate our book knowledge into creative digital maps. There are no prerequisites required; just bring your curiosity. Widespread urbanization in the twentieth century has occurred throughout the world. As a region, however, Latin America experienced the most complete transition from rural to urban society. This seminar explores the process by which cities like São Paulo, Buenos Aires, Mexico City and Bogotá developed. We will investigate the conflicts and challenges associated with the juxtaposition of urbanization and nationhood formation. Students will explore themes of immigration, informality and celebration through a combination of primary and secondary sources, film and literature and will be introduced to and work with arcGIS software. Prior knowledge of Latin American history is not required. This course examines the formation and evolution of American health policy from a political and historical perspective. Concentrating on developments from the early twentieth century to the present, the focus of readings and discussions will be political forces and institutions and historical and cultural contexts. Among the topics covered are periodic campaigns for national health insurance, efforts to rationalize and regionalize health care institutions, the creation of Medicare and Medicaid and the further evolution of these programs, the rise to dominance of economists and economic analysis in the shaping of health policy, racial and gender disparities in access to care and in quality of care, the formation and failure of the Clinton administration's health reform agenda, health reform in the George W. Bush administration and the 2008 presidential campaign, and national health reform and pushback during the Obama administration. History department faculty and staff will be available to answer questions and help students with course planning. Students can also meet with one of our faculty advisors to discuss declaring a major or minor in history. Pizza and refreshments will be served. Advisors and faculty from many humanities departments and programs will be available to share information about classes for fall 2019 as well as any other questions about majors and minors. Food will be provided. Tuesday, 2 p.m. – 3 p.m.
Wednesday, 1 p.m. – 2 p.m.
Thursday, 1 p.m. – 2 p.m.
Monday, 9 a.m. – 10 a.m.
Monday, 1:30 p.m. – 3:30 p.m.
Friday, 9 a.m. – 11 a.m.
Monday, 2 p.m. – 3:30 p.m. This course looks at key ideas in linguistics, starting in Babylon and Ancient China and working towards the study of meaning in modern linguistic theory and philosophy of language. Among the topics we will look at are: writing and its influence on grammatical traditions; the advent of historical linguistics, linguistic phylogeny, and the comparative method; European structuralism; American structuralism; variation within and across languages; the rise of generative grammar; Chomskyâ€™s philosophy of linguistics, including competence and I-language; literal meaning and beyond. Students will be expected to read a selection of primary literature and participate actively in class discussion. The course will be assessed by essays (essay questions and readings lists for each essay to be provided). Prerequisites: LIN 110, and any 200-level Linguistics course (or permission of the instructor). 3/28 1:30 p.m. – 3:30 p.m.
Walk-in advising is in 504 Lattimore Hall. The linguistics peer advisor will have an informal advising hour from 4-5 p.m. on Tuesday, March 19. Students can enjoy some snacks and chat with the peer advisor about declaring the major and course selection. To declare public health majors and minors students must first contact Jennifer Sherwood in the Multidisciplinary Studies Center to set up an appointment to create a tentative schedule. 3/26 1 p.m. – 4 p.m.
Friday, March 29, 2:15 p.m. – 3:30 p.m. There are seven faculty members who are designated Undergraduate Advisors for Political Science and International Relations for Spring semester 2019. Their names (Clarke, Frey, Gamm, Lee, Meguid, Signorino, and Stone), advising hours, and office locations are listed on the Political Science Department website. At least one person is available for several hours each day. Three Peer Advisors are also listed on the website. Conspiracy theories are becoming an organizing principle in American politics. This course will explore the history and trends of conspiracy theories, the psychological and strategic underpinnings of persuasion in these theories and misinformation, and the political implications of current conspiracy theories. In order to understand the use (or misuse) of evidence and logic in conspiracy theories, several weeks will be dedicated to extended examples. These conspiracy theories are polarized and polarizing, a unit of the course will discuss political science research on polarization and place conspiracy theories within this trend. Assignments for the course include writing an individual short paper and group presentation on a conspiracy theory that applies the concepts in class. Readings include classics (e.g., Hofstadter’s The Paranoid Style in American Politics) and contemporary academic articles and books (e.g., Knight’s Conspiracy Nation: The Politics of Paranoia in Postwar America). Several faculty members and three Peer Advisors will offer brief general remarks on the PSC and IR majors and answer general questions. One or more faculty will describe their newly offered courses, such as PSC211 Politics of the Shadows: Conspiracy Theories in American Politics. Then the Open House will break up into individual advising groups to work with individual students. For additional information, contact Niary Tajerian at niary.tajerian@rochester.edu, in 203 Lattimore Hall, or call (585) 276-5305. How did we get here? And, how do we know what we know about the past? This course is a general introduction to archaeology and world prehistory, with emphases on the methods, theories, and ethical issues of archaeological research. To this end, this course will provide students with an overview of the various theoretical and methodological approaches that have been used to study artifacts and archaeological sites and make inferences about the past. In addition, we will focus on how archaeological finds are used to understand the history of human evolution, agriculture, urbanism, religion and complex societies in many areas of the world. Why is there no place like home? What makes home such a special place? Homes evoke powerful emotions about place and highlight the dynamic and complex nature of people, their relationships to each other, and the broader society they live in. Archaeologists, therefore, must study the material culture found in and around domestic dwellings to identify any reoccurring patterns of those materials to reconstruct household practices and social relations. This course focuses on the ways that material traces from the past shed light on the diversity of domestic life, which includes household organization; economic strategies; the diet and status of households; ritual practice, and identity. To this end, we will read case studies from household archaeology about all types of homes (mobile shelters to palaces), but also review important texts that discuss domestic space, the family, and the organization of domestic labor. Students should expect this to be a reading intensive class with heavy emphasis on participation. In preparation for registering for the fall 2019 semester, all ATHS students (majors and minors) must meet with Professor Perucchio, ATHS director, to review their program on Friday, March 22 from 10:30-1 p.m. in Hopeman 415 (Professor Perucchio's office). This is a walk-in session, you don't need to reserve a time. Please contact Professor Perucchio in advance at rlp@me.rochester.edu to confirm that you will make this meeting. Learn about the Archaeology, Technology & Historical Structures program, including courses, research, visiting archaeology faculty from Africa, and archaeology field school opportunities in Ghana, Italy, and Peru. Learn about career and education readiness from the Gwen M. Green Center for Career Education and Connections. Pizza and cookies will be offered! Monday, 1 p.m. – 3:30 p.m.
Thursday, 1 p.m. – 3:30 p.m.
Digital Media Studies Program is now offering a DMS Minor! The DMS minor consists of six courses and can be in either the humanities or natural sciences. Learn more on the DMS minor requirements web page. Monday, Noon – 2 p.m.
Tuesday, 10 a.m. – 2 p.m.
Thursday, 10 a.m. – 2 p.m. Advising is also available by appointment. 3/27 1 p.m. – 4 p.m. The legal studies program offers a minor and two clusters. It is not a pre-law program, but is intended for students who want to incorporate some focus on law into their undergraduate programs. See the legal studies page for more information. Open advising will be held in 202 Hutchison Hall. Peer advisors are available during walk-in hours to answer quick questions and to begin the process of going abroad. These meetings are limited to a maximum of 10 minutes. If you have a more in-depth question, please schedule a 30-minute appointment with an education abroad advisor. Call (585) 275-7532 or stop by our office to make an appointment. 3/25 2 p.m. – 4 p.m.
3/26 3:30 p.m. – 5 p.m.
3/27 2 p.m. – 5 p.m.
3/28 3:30 p.m. – 5 p.m.
3/29 1 p.m. – 4 p.m.
Meet study abroad returnees and our staff in an informal setting. Study abroad is available to students in any major. Service learning, internships, and research are also offered. It's never too early to find out about your education abroad options! Your first step in education abroad. Learn about opportunities for international study, internships, and service learning. Information about choosing a program, scholarships and transferring credit. Open to ALL majors. The Washington Center (TWC), offers students a number of diverse semester-long programs in Washington, D.C., that combine a credit-bearing internship with a course taught by faculty from area universities. Undergraduate students gain an immersive experience in professional fields, unique academic opportunities, and the chance to explore life and work in the nation’s capital. Completing a TWC program equips students with the skills and confidence to succeed in a competitive global marketplace. In partnership with the TWC, the UR's Social Impact and Entrepreneurship Program offers students the opportunity to spend the fall semester in Washington, DC, and learn about social entrepreneurship through courses and cutting-edge internship experiences. For additional details please see the links below along with the attached flyers. Interested in having conversations about how to connect your academic and career interests? Take advantage of Greene Center Collaboration Hours to learn from peers, discuss career education questions and strategize on next steps. Plus, you never need an appointment! Visit Collaboration Hours Monday-Friday, 1-4 p.m. in the Greene Center Studio (4th floor, Dewey Hall), Wednesday 6-7 p.m. in iZone, and Sundays 3:30-5:30 p.m. in Gleason Library. Or, schedule an appointment with a career advisor in Handshake. Having trouble picking a major? Not sure what you want to do with your life? Consider taking CAS 104, ROC Your Life (+Career!). This innovative and fun ONE-CREDIT, pass/fail course meets every other week for seven sessions and will help you make academic and career decisions! CAS 104 applies a design-thinking framework and mindset to career exploration and development. Through self-reflection, readings, discussion and in-class activities, students will be able to architect their experiences at Rochester and beyond, and be better equipped to navigate academic, career and life decisions. This interactive course teaches “real life” communication skills and strategies that help students present their best professional selves and develop a fulfilling career. Students will explore and articulate their internship, career and graduate school goals for distinct audiences as they develop a professional communication portfolio of materials such as resumes, cover letters, statements of purpose, electronic communications, elevator pitches, project descriptions, and online profiles (i.e., LinkedIn). NOTE: There are also discipline-specific WRT 27X courses offered next fall for biology, engineering, psychology, and mathematics. See the course descriptions and schedules for details. If you are interested in working with human subjects in a health-related research or internship position, this is the right course for you! Completing all of the required modules will provide you with the initial certifications necessary to get involved with human subjects and their data. For more information see the program flyer (pdf).